April is fast approaching (when the "Survival Travel English" series will continue with Travis and Diana in the airport) but I couldn't wait to share some more free goodies with you! Goodies are any objects, rewards, or prizes that are considered particularly desirable, attractive, or pleasurable. The first goodie is my new "Free Study Guide". You can sign up by entering your name and email address into the new form on the home page. Once you sign up, I will send you a free study guide email for the next 7 weeks. - classic articles from my website to answer your questions. 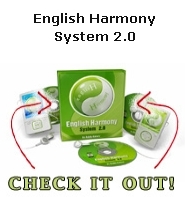 - my best free resources to improve your English. - Explanations of "It's English Time!" and a free invitation to the "IET Writing Workshop". - a quote of the week with the opportunity to share and read interpretations of each quote with other English learners and teachers. The materials covered in these study guides are different from this newsletter so sign up today so you don't miss out! Do you like quotes? Well I thought I would share the first quote from the free study guides with you today. If you would like to take a look at the quote from week one just click here. There you will see my interpretation of the quote, a fun video related to the topic and you can also listen to my friend Travis talk about his interpretation of the quote. Be sure to share your thoughts as well! The third goodie that I wanted to share with you is a page that I wrote a long time ago about a particular grammar point. This page explains the difference between the past simple and the present perfect tense, and it also has an exercise to help you see the difference. Click here to learn about the difference between the simple past and the present perfect. Check out Elizabeth's Basic English grammar video lessons today. I hope you enjoy your goodies and have a super day! If you are interested in the course be sure to get it now, so you can save 35% (€60)! 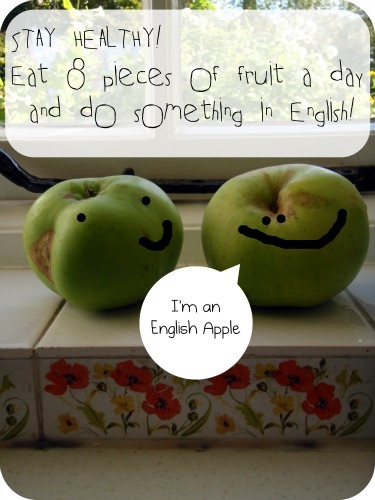 **Join in the discussion at the "Learn English Corner: LEC" where you can meet other English learners just like you. ***If you have any comments or feedback about this newsletter please send me a message via this form.